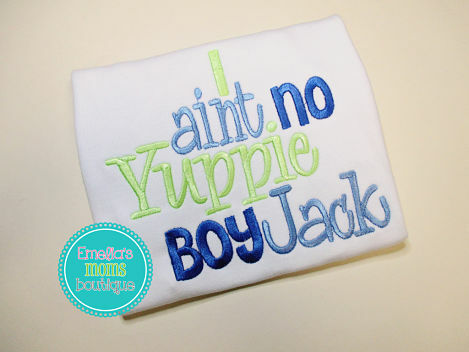 Your little man Ain't No Yuppie Boy, Jack! What better way to tell the world? The colors on this adorable shirt can be changed, just contact us first. Items ship withinï¿½10-15 business days via USPS after payment is received. A $10 rush fee gets it to you faster, just contact us first.